Program Schedule Posted to Website: As of April 23, the program schedule is available under the PROGRAM tab. There will probably continue to be some minor adjustments—to correct mistakes and resolve conflicts. Because the program came out later than we had hoped, we have also extended the deadline for early-bird discounts to the end of the day on Thursday, May 9. 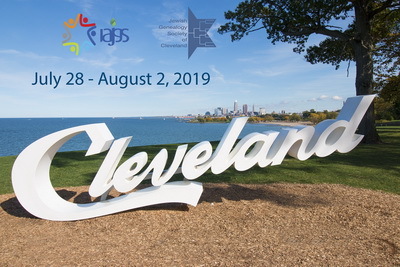 Educators' Program: We are pleased to announce a special Program for Jewish Educators on the opening day of the conference. Registration for that program is now open. Speaker Acceptances and Rejections: Everyone who submitted a proposal to speak or lead a computer workshop at the conference has now been notified whether the proposal has been accepted or rejected. If for some reason you have not received such a message, please send a note to program@iajgs2019.org. If your presentation was accepted, please follow the instructions in the message to confirm that you will present the talk. The deadline is April 10. We need to announce the program very soon after that date so that people can decide to register before the early-bird cutoff of April 30. Registration: Registration for the Conference is now open. See the various pages under the REGISTRATION tab. Begin by reading the Overview page, which has all the details about registration, including the fees. Note in particular the Mandatory Meal Voucher, which is new this year. New Pages: Several new web pages have been added to the site. Under the FAQ/INFO tab there is an extensive FAQ page with many Frequently Asked Questions and their answers. There are also two pages with tourist information (Sightseeing and Restaurants) and a page about Religious Services. Under the ABOUT tab there are three pages (Conference Hosts, Press & Media Information, and Short URLs). Hotel Reservations: One can now make reservations at the conference hotel. Under the HOTEL/TRAVEL tab, click on the HOTEL RESERVATIONS item. We also have a page with photographs of the hotel. Click on the HILTON INFORMATION item under the HOTEL/TRAVEL tab. And there is now a page with screen captures showing how to make an online reservation.